I woke up this morning with an excited text from Tim “the wonderful wizard of Reclaim” Owens pointing me to some work he did on our Cloudron test instance. Short version: it is awesome. Whole thing takes a minute or so, depending how fast you type. 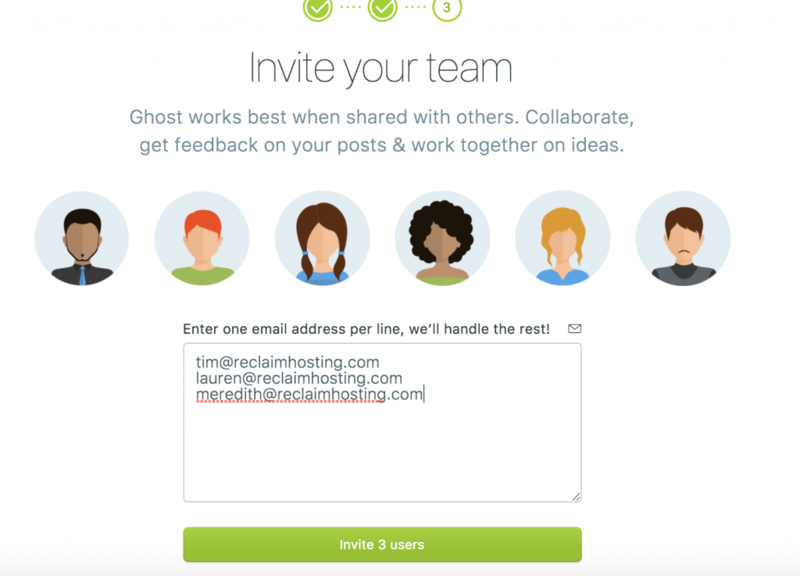 What’s sick is that this is effectively a multisite option for a school that wants to provide a Ghost instance. 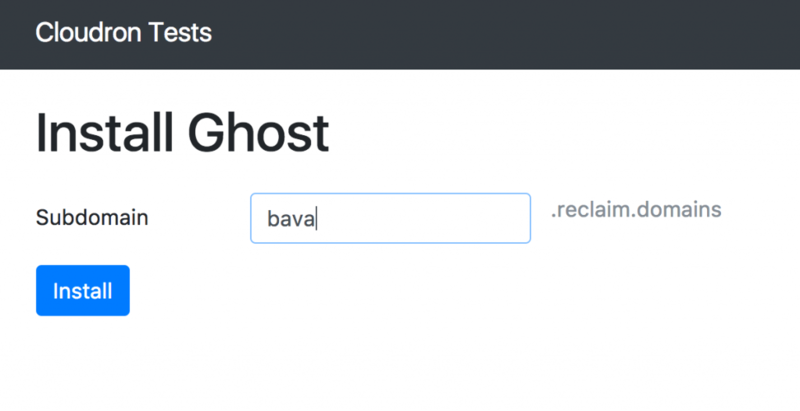 Right now we can map Ghost instances (and instances of the Discourse forum, a Minecraft server, or what ever you need—and has a Docker container) on a subdomain of an existing URL. So, if a school wants to use, for example’s sake, ouapps.org, Ghost instances can live at jimgroom.ouapps.org/ghost, and arguably jimgroom.ouapps.org/discourse, etc. Something that I was immediately impressed by is that emails are taken care of. When installing Ghost on our previous setup (same with Discourse) admin emails needed to be managed through an SMTP email service like Mailgun or Sparkpost (to name a couple), which meant some manual configuration that would make this process hard to scale. 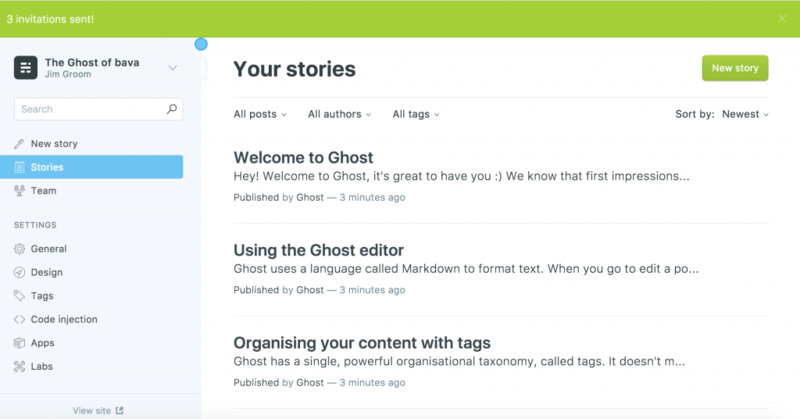 So, if a school said to us we want to provide scores of people access to Ghost or Discourse (not to mention or applications) we have a seamless and simple solution. You’re a genius Timmmmmmyboy! I want to see if we can get an installer together for other apps like Manifold, Mastodon, and many more. 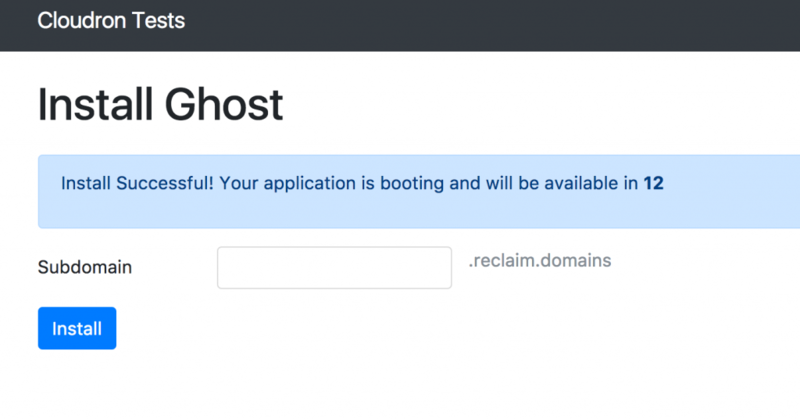 Anyway, this is very exciting news, and next steps will be to see if dynamically creating and mapping these instances on domains in Reclaim Hosting’s shared environment will be possible. Once that is the case, we have a pretty slick solution for running apps across container apps integrated into Reclaim Hosting. A pretty huge step for us. This entry was posted in reclaim and tagged domain of one's own, ghost, reclaim. Bookmark the permalink. 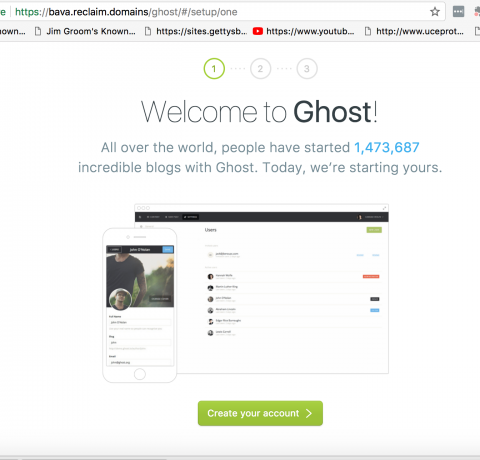 Slight clarification: Each app is its own subdomain so you wouldn’t have anything like jimgroom.ouapps.org/ghost, rather Jim might have bava.ouapps.org as a Ghost install and bavablog.ouapps.org as a WP install. 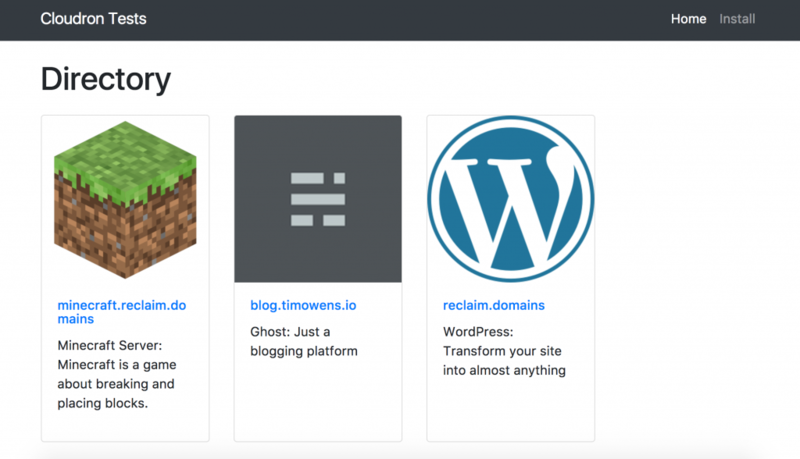 Another thing worth mentioning here is it’s dead simply to map a top level or subdomain to these installs using a single CNAME record so blog.timowens.io is actually a Cloudron instance mapped onto a reclaim.domains subdomain. It’s all using Docker but Cloudron has its own intricacies of packaging which I’m learning more about now so that we can better drive development of more application packages. This is so, so cool. Am interested in a few possible app buildouts! Seriously, though, this is pretty exciting stuff…moving ever close to a true personal cyberinfrastructure. Or at least closer to my being able to try some apps that are otherwise beyond the time, technology and expertise I have to get going. Yeah, this is cool stuff, and we may be rolling out a first experiment with this stuff pretty soon. 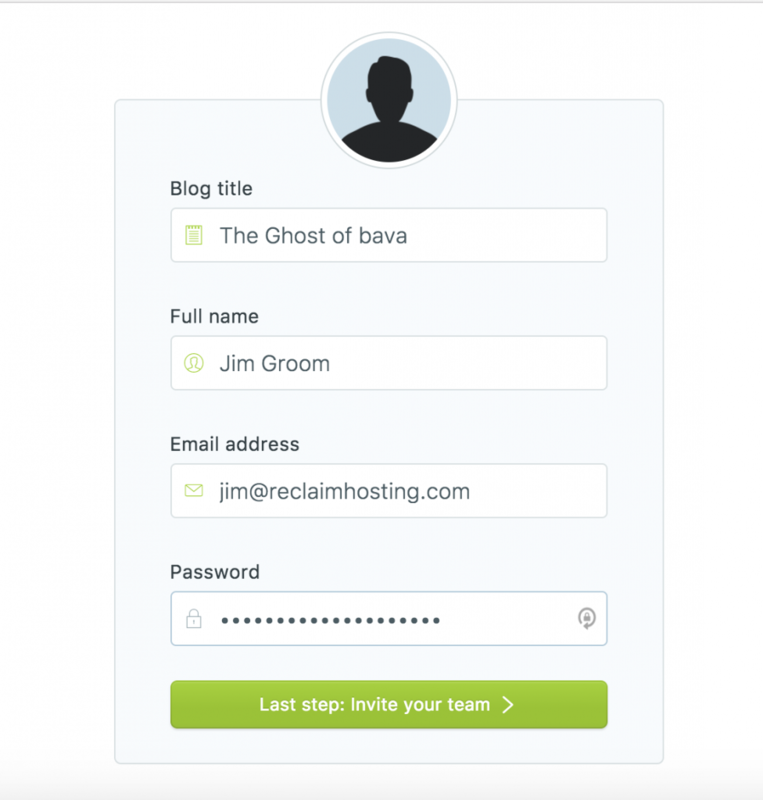 I really want to see this as default, and cPanel sits behind it at a buttons reach for folks who want more. But I do thing simple and succinct will win for this stuff.